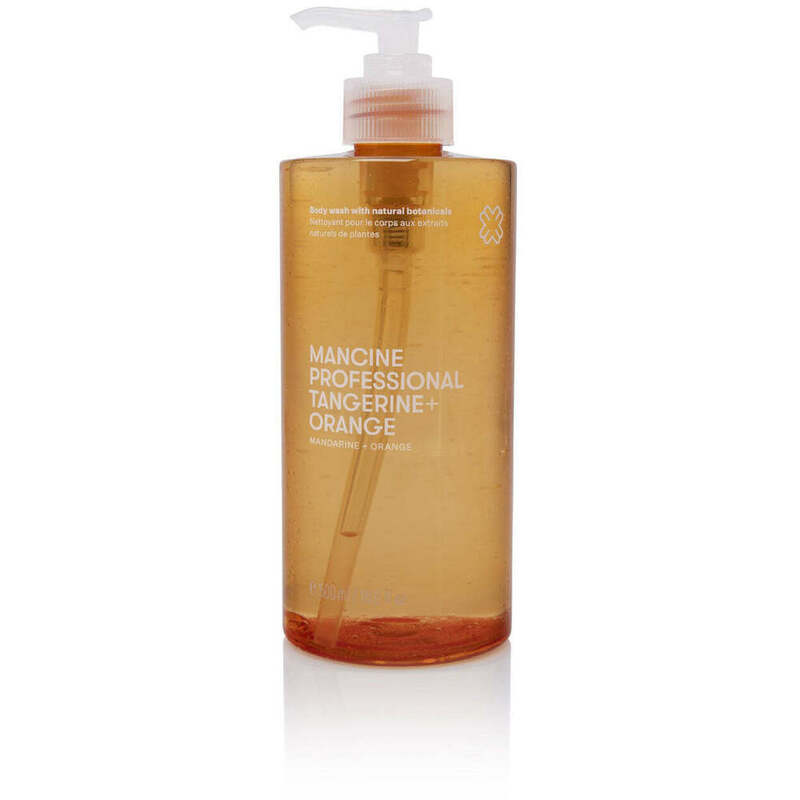 Mancine Body Wash - Tangerine & Orange 12.7 oz. - 375 mL. A purifying gel made from natural botanicals and herbal humectants that gently cleanses & moisturizes the skin for an energized and invigorated texture. Eradicate dead skin cells and detoxify impurities to leave your skin feeling ultra clean, refreshed and supple. Natural organic ingredients gently cleanse and nourish to help you feel ready for the day ahead or unwind and relax after a long day. The Tangerine and Orange fusion lightly scents and relaxes - for best results apply with a Riffi Exfoliating Massage Mitt for a nourishing and purifying skin treatment. Complete this luxurious skin care routine with our body butter and body lotion collection.